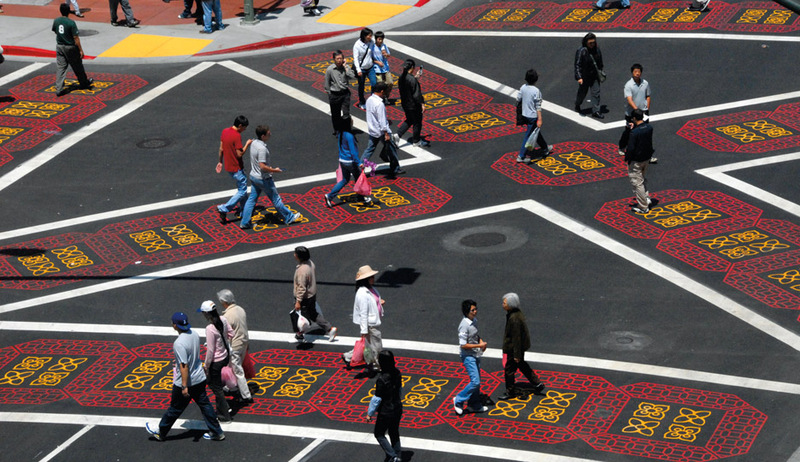 Funded by a Caltrans Environmental Justice Grant, this project sought to alleviate traffic, parking, and pedestrian safety problems in Oakland’s Chinatown. The project also provides attractive and functional urban design and streetscape treatments to enhance the area’s image, allowing it to compete more effectively with suburban shopping centers. As the lead firm, CHS Consulting Group worked closely with agency and community stakeholders to build consensus. CHS conducted a charrette, focus group surveys, workshops, and interviews to gain in-depth understanding of Chinatown issues. CHS also conducted a planning level simulation modeling analysis to compare project alternatives. A total of five project scenarios were analyzed. The final recommendations were divided into short-term, mid-term, and long-term projects. Order-of-magnitude cost estimates were developed. CHS completed the initial planning project with total community consensus. CHS successfully led the concept design and successfully assisted the City in procuring an MTC Livable Communities Grant for project design and construction. CHS completed final design for a pedestrian scramble crossinig, corner bulbouts, and lighting improvements. The first phase of the project was completed in 2008, with a ribbon-cutting ceremony for Oakland’s Chinatown.